Religious scholarship is more than studying ancient manuscripts. It’s a source of deep meaning, and controversy in human culture. It’s a dynamic collaboration of contemporary life, history, philosophy, and ethics. In Canada's multicultural society and the global economy, professionals need to have knowledge of the different religions and cultures. Understanding the world's cultures and diversity is a key element of social interaction. McMaster is home to some of the world’s foremost scholars and teachers of religion, working on a variety of religious traditions and using a wide diversity of approaches. In Canada's multicultural society and increasingly interconnected world, the study of religion is one of the most comprehensive ways of understanding humankind and human visions of reality. Learn more about McMaster's Department of Religious Studies has to offer. The Religious Studies undergraduate degree programs have a NEW name and a NEW look! Join the Department of Religious Studies on Wednesday, March 20, 4 - 6 p.m. in the foyer of University Hall as we celebrate the re-naming of our undergraduate programs. The 3-year BA program provides students with a foundation in the field of Religious Studies and its main sub-fields to help prepare you to work in Canada’s multicultural society. As of September 2019 Religious Studies B.A. programs will be renamed to Society, Culture & Religion. The B.A. Honours program offers students a deeper understanding of the discipline of Religious Studies and the sub-fields of Asian religious traditions, Biblical Studies, and the Western religious traditions, including Islam, Christianity and Judaism. In Canada's multicultural society and an increasingly globalized world, a strong grounding in critical thought and analysis is essential to navigating and understanding a variety of religious issues across cultures. As of September 2019 Religious Studies B.A. programs will be renamed to Society, Culture & Religion. Students graduate with a double major in Religious Studies and another subject. As of September 2019 Religious Studies B.A. programs will be renamed to Society, Culture & Religion. One of the first graduate programs in Religious Studies in Canada (established in 1964), McMaster University has been a leading center for the scholarly study of religion for more than four decades. The Department has three graduate fields of study (Asian, Biblical and Western) and research is conducted in a range of topics and traditions, time periods and cultures, employing a wide variety of approaches: textual, ethnographic, historical, philosophical, theological, philological. New in Fall 2017! The minor in Muslim Studies provides the opportunity to study Muslim beliefs, practices, thought, and history in a variety of geographic locales and timeframes. Students explore Jewish Studies, a multidisciplinary field devoted to the study of Judaism and Jewish history, thought, culture, and communities. 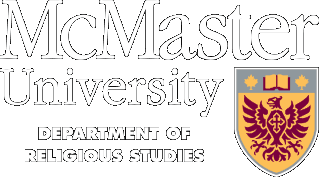 One of the first graduate programs in Religious Studies in Canada (established in 1964), McMaster University has been a leading center for the scholarly study of religion for more than four decades. The Department has three graduate fields of study (Asian, Biblical and Western) and research is conducted in a range of topics and traditions, time periods and cultures, employing a wide variety of approaches: textual, ethnographic, historical, philosophical, theological, philological. While the faculty and areas of research expertise have changed somewhat over the years, the Department’s commitment to the open, critical, and multidisciplinary study of religion—past and present, East and West, theoretical and practical—remains passionate and strong. Students develop a working knowledge of the Japanese language and study the culture, people, and society of Japan. Students develop an understanding of religious diversity in contemporary Canada and beyond. Students learn about theories of religion, the intersection of religion and culture, and religious phenomena around the world. We are excited to begin offering a new minor in Religion, Health & Well-Being starting in Fall 2019. The minor in Religion, Health & Well-Being is designed to help students develop an understanding of the connections between the areas of religion, heath, and well-being.